Immediately after the release of Infinix Hot 4, Hot 4 Lite and the Hot 4 Pro, the company has yet added another new versions to the Hot-series called Infinix Hot 5 and the Hot 5 Lite. 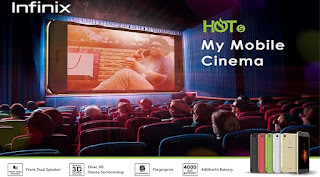 Both versions are theme-ly called MyMobilecinema. They both featured a 5.5HD screen, Dual front speaker, 3D Dirac Stereo, 4000mah battery capacity. I still can't spot out the main selling point of these devices. I don't want to be biased here anyway. Both devices almost shared the same specifications and features. They are more focused on entertainment with its key features; 5.5HD screen display as mentioned above, dual front speakers at the top and bottom of the smartphone with 3D Dirac stereo surrounding to boost sound. In addition to the specs, Infinix Hot 5 features a non-removable 4,000mAh battery, 2GB RAM + 16GB inbuilt memory which can also be expanded with an sd card of 32GB. The device is packed up with an 8MP rear camera + 5MP front facing camera, pre-installed with Infinix own custom UI XOS 2.2, a fingerprint sensor which is rear mounted and came running on Android 7.0 Nougat. Infinix Hot 5 was designed for mobile entertainment compared to its predecessor Infinix Hot 4. Coming to the price of these devices, the new Infinix Hot 5 will retail for N37,500 and Infinix Hot 5 lite for N32,000. Both versions will be available on the 30th of August, 2017 on Jumia.com.ng and at all Slot retail outlets nationwide Nigeria. Let me ask you, can you drop your present smartphone for this phone? Kindly comment below and please share this post. its nice.... but pple still flexing with infinix 4lite and infinix finger print..
Good phones with good specifications, thanks for sharing this. 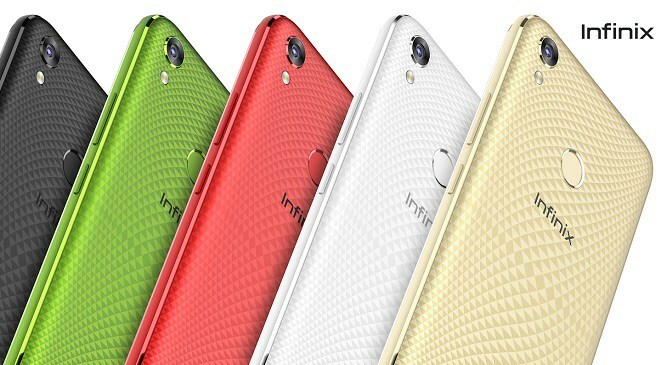 Infinix phones happened to be the phones I like, they are trying, these two phones are good. Infinix is back now, good features.